From the entertaining entrance, where audiovisual recordings of transport systems in New York, Tokyo, Paris, Shanghai and New Delhi, as well as London, are shown on screens, you are whisked by lift to the second floor – and back to 1800. The capital's first licensed public transport was the sedan chair, an example of which is on show, but the gorgeous horse-drawn omnibus, from 1805, its painted, flower-bordered designs announcing still-familiar routes, is a bigger draw. Progress leads you ever onwards, to the building of our first passenger railway – from London Bridge to Greenwich in 1833. 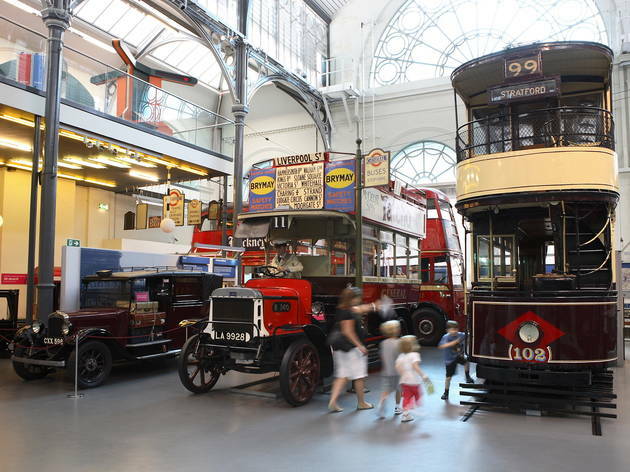 The first floor of the London Transport Museum holds perhaps the most exciting displays, including the first underground engine (steam-powered) and a wooden Metropolitan Railway coach (converted to electricity in 1901); one of several exhibits you can board. Frank Pick, the man responsible for rolling out the London Underground brand and giving each line its own character and ensuring the emblematic bar and circle logo became an intrinsic part of London's visual identity, to the extent it now signifies 'tube station' without the need for words, is the focus of the design display. London Transport's posters – by the likes of Abram Games, Graham Sutherland and Ivon Hitchens – are on show throughout museum. 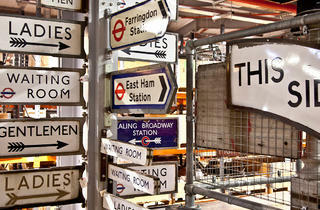 Many are design icons, though none is greater than Harry Beck's original tube map. A family play zone for children aged 0-7, All Aboard, features a fleet of mini vehicles to climb into and play on. Kids can repair a little tube train, sail the 'Thames Nipper', play in the lost property office and try musical instruments on busking spots. The Baby DLR features an interactive wall and building blocks to keep infants entertained. 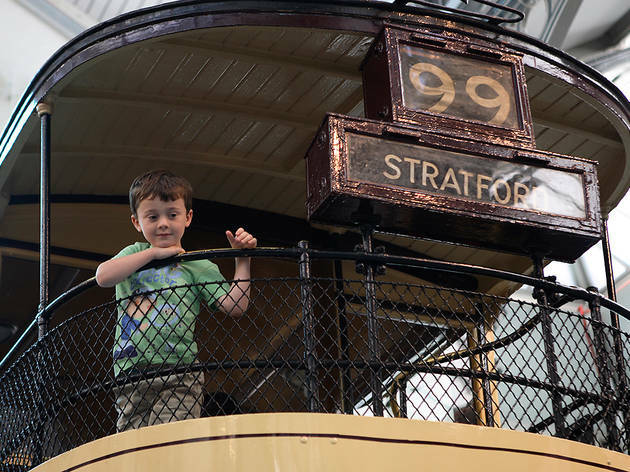 Visitors of all ages get the chance to sit in the driver's cab of a red bus and guide a Northern Line simulator through tunnels and up to platforms, so big kids will have plenty of fun, too. Really cool museum, with loads to look at and learn about (and some fun photo ops too!). 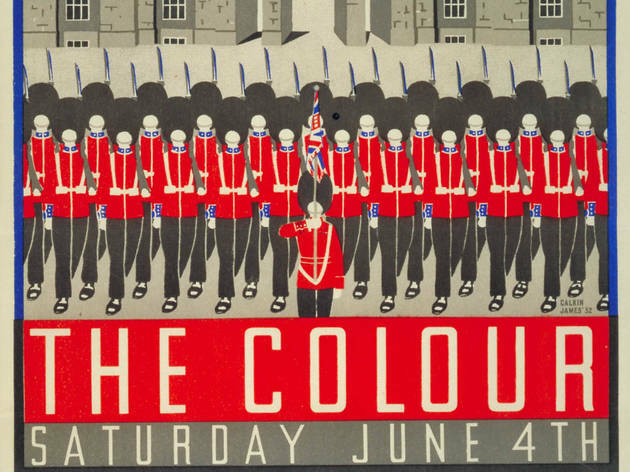 I loved all the old Tube poster designs – my favourite part of the exhibition. I felt the ticket price is a bit steep for what it was and also there are a lot of screaming children running around so if that’s not your thing – avoid. Gift shop had loads of exellent souvenirs including prints of the old posters. One of the best museums in London, I really got 'on board' with my visit. There are lots of hands-on activities for families (especially at Christmas -they even had Santa at the Information Desk) - although if you want to visit without lots of youngsters running around, it is best to visit in the week. 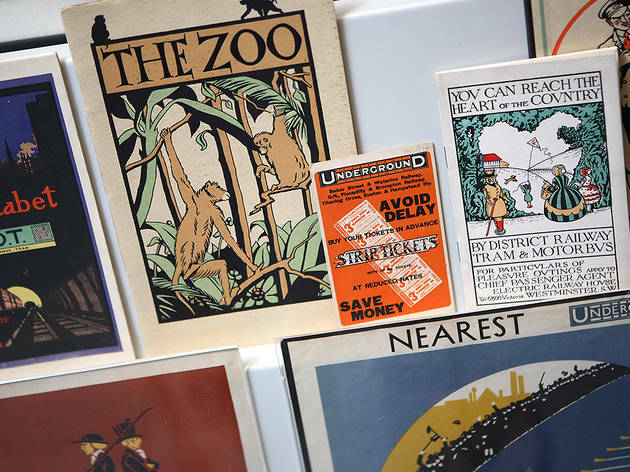 The gift shop (over two levels) also has lots of interesting and varied gifts, including a section where you can choose to print the older style Tube ads in any size / finish of your choosing. I wouldn't say I'm a big bus/train enthusiast, so I was surprised how much I enjoyed my visit. I found the whole museum interesting, especially because there were a lot of interactive exhibits, things to try first hand. This made our class trip very memorable, all of my students had fun. 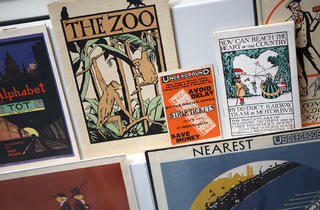 Plenty has been said about the excellent museum but here's a shout out for the shop, which is worth a visit in itself. Perfect for quirky gifts, cards and books, especially for kids or those new to London. Worth a visit. I went with a 4 year old and her mum (just to set the scene). At the front desk we paid £17.50 each for the adults but this includes return visits for a whole year! How cool is that if you live close enough to visit this place time and time again? We went to story telling which I thought might be just about a train or a tube but they actually taught the kids about boring machines for the Elizabeth line which I was really impressed with. They also brought some of the artefacts that were found when boring. We also jumped on board a bus driven by my 4 year old pal and I got lost as I was too busy driving a tube into the station. I do love a routemaster bus so we also hopped on one of those. I happened upon one of the Friday Lates at the LTM through some stuff in TimeOut magazine - and boy, am I glad I did. I've been in London for just over two years now and there is hardly anything as iconically London, to me, as the tube map and the sheer option of transportation in this beautiful city, so I was pumped to get involved in this Friday Late as it dealt with colour. From tube map crafting using everyday objects, to talks on the colours of the underground lines, to a pub quiz all about colour, it was an absolutely fantastic evening. I loved the chance to wander around the museum as well, marvelling at the old buses juxtaposed with the fancy new Crossrail (QE2?!) trains. A very cool evening and I can't wait to visit the museum again!!! I took my seven year old nephew during the half-term holiday. We both enjoyed the museum and despite it being the school holidays, we never felt it was crowded over the three floors. The grand sweep of history starts with the Thames Watermen and ends with modern London transport as we know it. There are glorious examples of old stagecoaches and beautiful ornate trams. For the children, there are tube driving simulators, a play pen and a stamper trail to keep them motivated to finish the museum. All the exhibits are fascinating and it's well worth booking out 3 hours of your day. The online entrance fee £16 (£17 on the day) means that you have a year's pass to the museum. A bargain if you find yourself in Covent Garden. This place will have you realing with information and leaving with knowledge that you never knew before. It's an aladdin's cave. Especially the shop you'll find little gems here that are perfect for birthday gifts for all children big and small. An there's loads of activities to do so you won't be bored and neither will the children. Not just for transport geeks! A journey through all aspects of London's history and how its' people and transport are inexplicably linked - so fascinating and I never knew how much of an influence the network had on London's development. There's lots for kids (of all ages!) and adults alike! The most interesting museum I've visited in London and I've held a gold bar at the bank of England. You drive an underground train, climb on old transport and see lots of tube maps. The name for this museum is perfect. 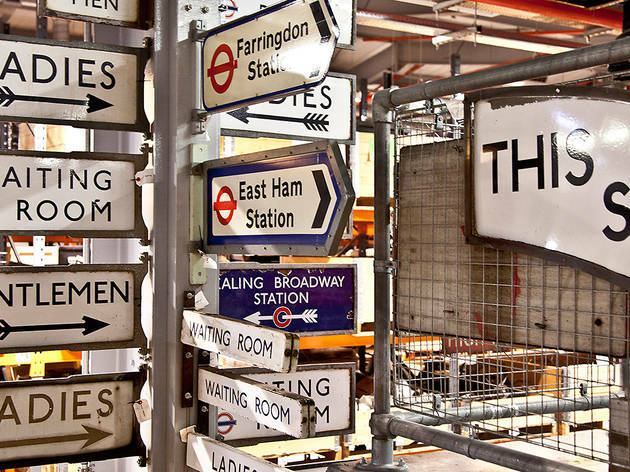 It is as much a museum about London as it is a museum about transport. A fantastic place for locals and tourists who want to know more about Londons History. It's worth a visit around this world of our transport and the transportation of the past. It also features the future of the transport and what we are going to be expecting. 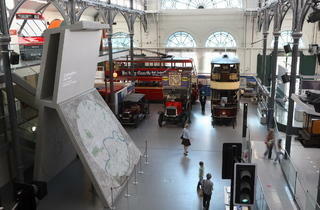 I managed to visit the London Transport Museum. I was offered a cross rail ticket to visit the exhibition inside the museum which displays all kinds of machinery, gadgets and the future of transport. It was truly phenomenal to see all kinds of intricate pieces of technology. 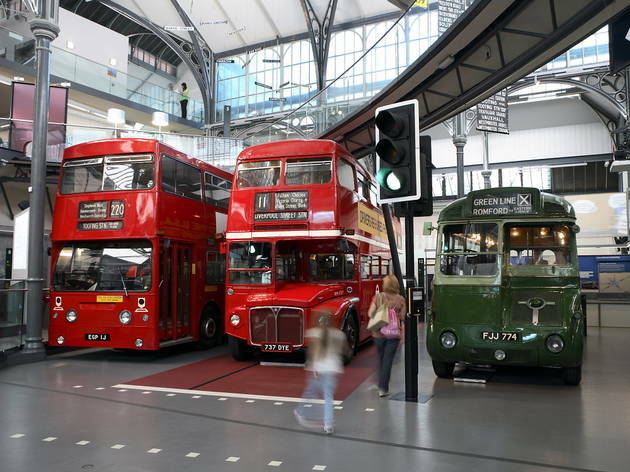 It's a great museum to take your whole family, you'll have great fun and also you get to have a stamper trail to stamp your card as you go through the different years of transport in the museum. As you go in you firstly take a lift all the way up to level 2 to start your journey. It will take you back to when it all started. The carriages, the horses, the intricate train design pieces are incredibly detailed. You follow the trail until you get to number 13 on you stamper trail card which is located on level 0 which is where you began your journey. The museum has great family play zone areas. You get to experience entering these historical busses, carriages and trains. You also get to experience being a train driver which is immensely interesting. It can get quite crowded as it's a family/tourist museum and people from around the world do visit and are very interested in the story about London Transport. Don't forget you also have a Cafe Bar just at the entrance of the museum and you will be able to shop in the museum for all it's fanatic transport gifts and souvenirs. It practically has everything you can think of. All sorts of supplies that will come in handy, designed in the theme of London Transport. The whole family will love it. Located in the heart of Covent Garden. This was super fun. We went to the Lates which was showcasing their new exhibit 'Designology'. So much stuff to look at and see, and with no children in sight we could play bus driver and partake in the activities without feeling the slight guilt of taking a little 'uns spot. The layout was a tad confusing but I don't think it's meant to be taken in any order. Plenty of interesting exhibits and good fun being able to sit in old trains and buses. This was a good morning out for my two little ones, boy and girl aged 2 and 4. lots of interactive fun things to see and do and plenty of space for them to run around. Great museum for transport fans and historians. Having worked near the museum for years I thought it was high time I popped in for a mooch, I wish I had visited sooner. 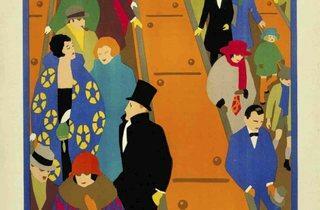 The history of London transport is really interesting and will peak the interest of even the grouchiest of commuters. Not to sound like too much of a sucker, but... I loved the gift shop their selection of vintage tube posters is fantastic. Oh what joy, this really was another chance to get my geek on as I spent a wonderful afternoon mooching around this fabulous museum, feeling like I'd entered into a train-spotter's paradise. 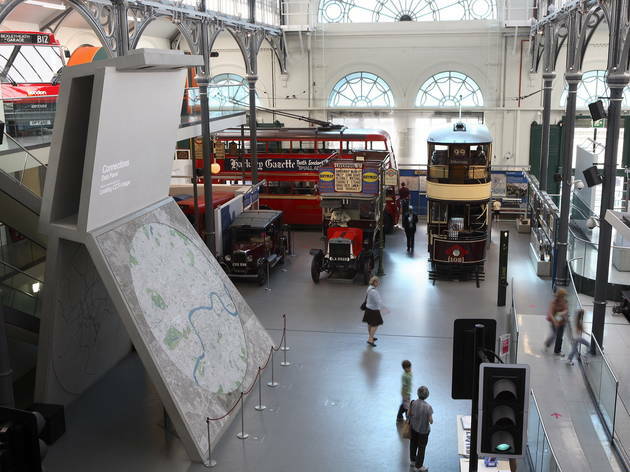 The London Transport Museum does a great job of taking us on a journey (if you'll pardon the pun) through the history of transportation in London. It's really all so very fascinating you will almost enjoy your Monday morning commute as the facts dance around your head and you see the tube, trains and buses in a new light - and possibly a new found respect. You'll learn about the original Hackney Carriage, Double Decker Horse Drawn Trams and the making of the London Underground Tunnel System. You'll get to press a lot of buttons, hop on and off an original route master and if you're a North Londoner like me, reminiscence, on a 1980s tube carriage, about your childhood journeys 'into town' on the Northern Line. The whole museum is like an Alice in Wonderland experience and a London history lesson rolled into one. It shares with us facts and stories about the transportation that has kept this city thriving, with fun, interactive displays and beautifully restored vintage vehicles to admire. Such a marvellous museum, with a fascinating insight into the evolution and forthcoming methods of transportation in London, a great day out!! This is a great place for kids, with enough cool about it to make it bearable, if not enjoyable, for their adult companions. Strange to think that children are so impressed by doing the kind of thing they do every day of their life (press traffic light buttons! Use a pelican crossing! Climb up the stairs of a bus!) - but they are.. Some great educational bits and impressive interactive displays and lovely cafe and shop. Definitely a family thumbs up from us. A lively atmosphere that successfully unites the culture, history and evolution of transport creating a fun experience for all ages! 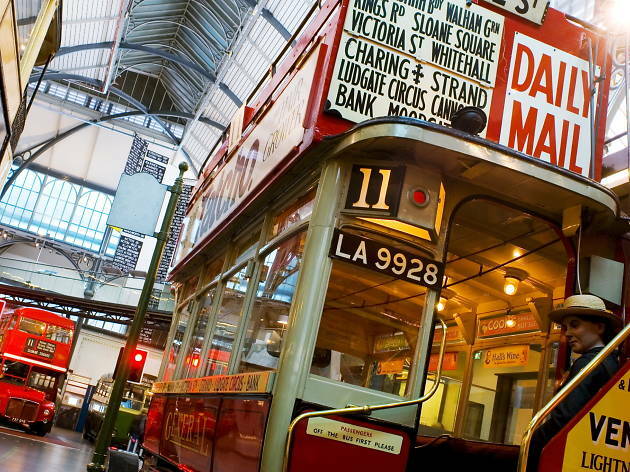 I am very interested in London's efficient transport system & I really enjoyed learning about its history... London Transport Museum is an interactive musuem which is worth going while in London! Great day out for the whole family, from toddlers to grandparents! Wonderful for children - my 2 & 4 year old LOVE it. And massively appeals to the transport geek inside me. The various design-oriented exhibitions e.g. 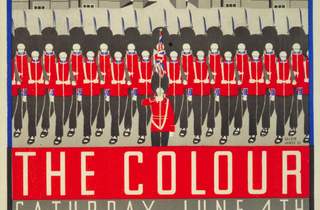 old posters are utterly fascinating as well. Not to mention the endless historical anecdotes, and insights behind-the-scenes of London, and... so much great stuff! Shows that if you want a decent museum experience, you need to pay. Took my toddler (2yrs old) to both the science museum and this one. This museum REALLY captured his attention in a way that the Science Museum and the Natural History Museum did not. Plus you don't get the huge crowds. My toddler spent the first minutes saying 'oh choo choo train' on the top floor, he ran to see all the trains, ran into the old carriages, followed all the model train sets as they moved. He also enjoyed the actually decent children's play area, where the adult can sit down and relax. 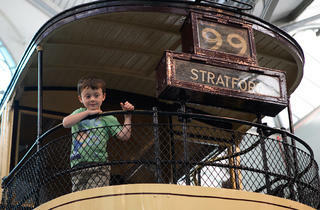 As for the adults, this museum does everything I've ever wanted a museum to do; it takes you back to in time and builds up a picture of what London/London transport was like. Your ticket gives you yearly access, under 17's (!?) go for free. A very good cross-section of London's fantastic transport history and much to keep children interested. Plenty of hands-on items. This is the story of London. Fun for all ages. 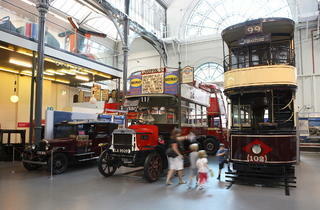 Great place to learn about London's transport history, see classic buses and great vintage posters. Definitely the place to go if you love all things transport in the city. The iconic red buses include the WW1 hero Ole Bill - currently on loan from the Imperial War Museum. Look out for the actors that are present during the middle part of the day - usually 11.30-3.30. You never know where they might be but expect to be entertained and informed if you meet the Fireman on the original underground steam train, or the chirpy cockney B-type bus cleaner who'll either try to get you to join the womens movement or do your bit for King and county. There are others to be found but with only 1 actor a day and no announcements you'll have to take your luck with who's there on your visit. Loads to do and interact with for all ages - note to those with very young families - keep your eyes on them at all times and get there early in the school holidays when it's a tad manic. A fabulous place to go with granny and grandad and to see how the commute in London has changed. 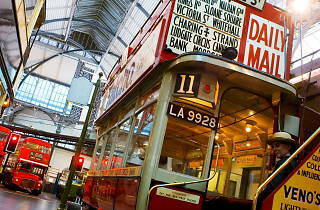 You don’t need to be a bus, train or tram nerd to get a kick out of visiting London Transport Museum. 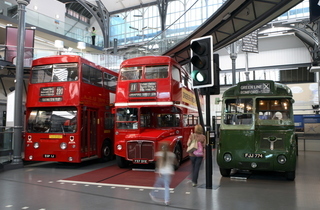 While there’s plenty of machinery on display – including the first, steam-powered underground engine and, of course, the iconic Routemaster bus – it’s as much about the urban history of the city, how it grew and evolved by getting stuff to and from the place and getting us around, as the hardware. And the integral role of design in that history is, rightly, given prominence. 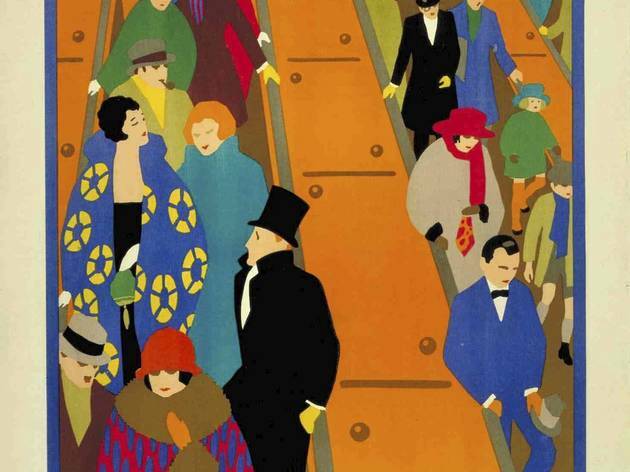 You’ll see classic posters and designs by the likes of Abram Games and Ivon Hitchens as well as Harry Beck’s original tube map. The shop’s surprisingly good, not just for models and memorabilia, but for cushions and rugs in some of London Transport’s classic fabric designs. My children love it, but it is quite expensive if you only go once (the ticket is yearly). Very interactive. I took a 9 and a 7 year old and we had a lot of fun and really enjoyed this museum. Very hands on and interactive. Recommended! Lovely to see some of the old transport in London. the display of the trams and the horse drawn carriages were lovely. This is a fantastic museum to take young children. I took my godson (age 5) and he was entertained by this museum for at least an hour and a half. Free entry for children under 16 I think is very fair, especially considering the location. It is really lovely to look at some of the old London transport system. I really enjoy the visit. Lots of lovely of lovely exhibits.